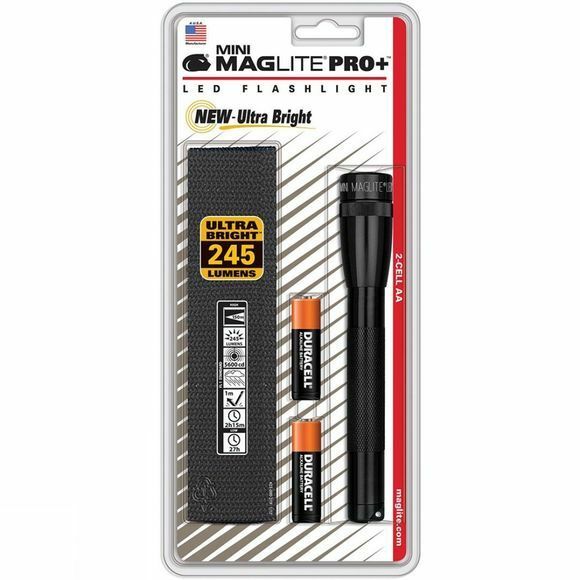 The Mini Maglite LED 2-Cell AA Torch brings together dazzling light output, performance-oriented features and a sleek, compact design. Twist the bezel to turn on the beam, turn off the beam, or adjust its focus between spot and flood. The multi-selector switch also allows you to choose between two operating modes. The full power setting gives maximum brightness while power save mode reduces output to 25 percent to conserve battery power for reading at night, or for a prolonged emergency.